In preparation for the holiday season, I like to think of ways to make our guests feel at home when they come to visit. We don't entertain that often due to the size of our home, however when we do, all of our guests come from out of state, which means they usually stay a night or two. 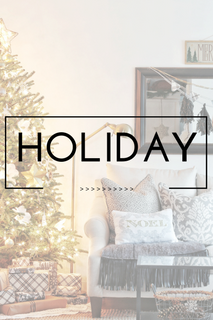 I have some plans in the works to get our finished basement up to par for holiday entertaining, but for now I wanted to share with you a few little ways to get your bathroom guest ready for the holidays. There's nothing more embarrassing than running out of necessities when guests visit. "Do you have any more toilet paper?" Seriously? Can it get any more awkward? And what's worse is if it's not kept within the bathroom where your guest is! Then you have to slip the roll to them, making it doubly awkward! I try to stay stocked up on TP at all times, but sometimes . . . I just forget. 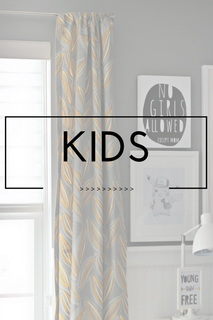 Luckily Family Dollar is only minutes away from our home, which is so convenient! (Actually we are in that Family Dollar so often the manager knows our names!) 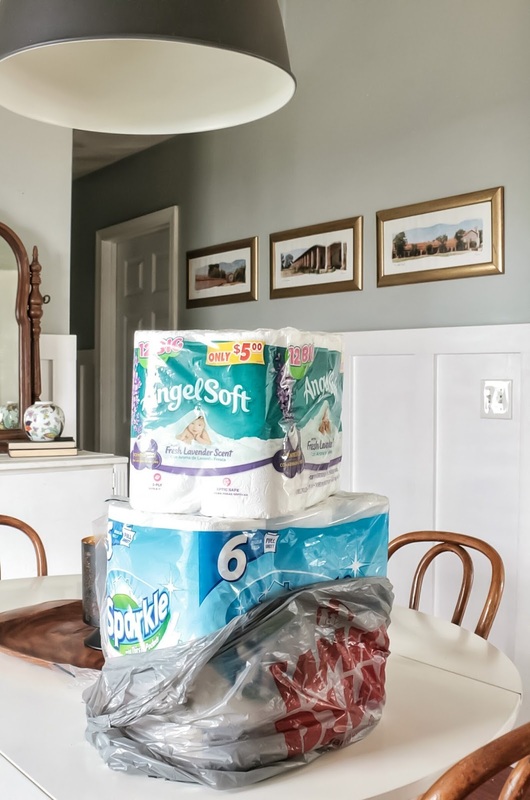 It is so nearby that we can usually sneak out and stock up on Angel Soft® bath tissue and Sparkle® paper towels so quickly, our guests won't even realize we've left! I like to use Angel Soft® and Sparkle® because they provide great value for entertaining guests during this chaotic time of year. 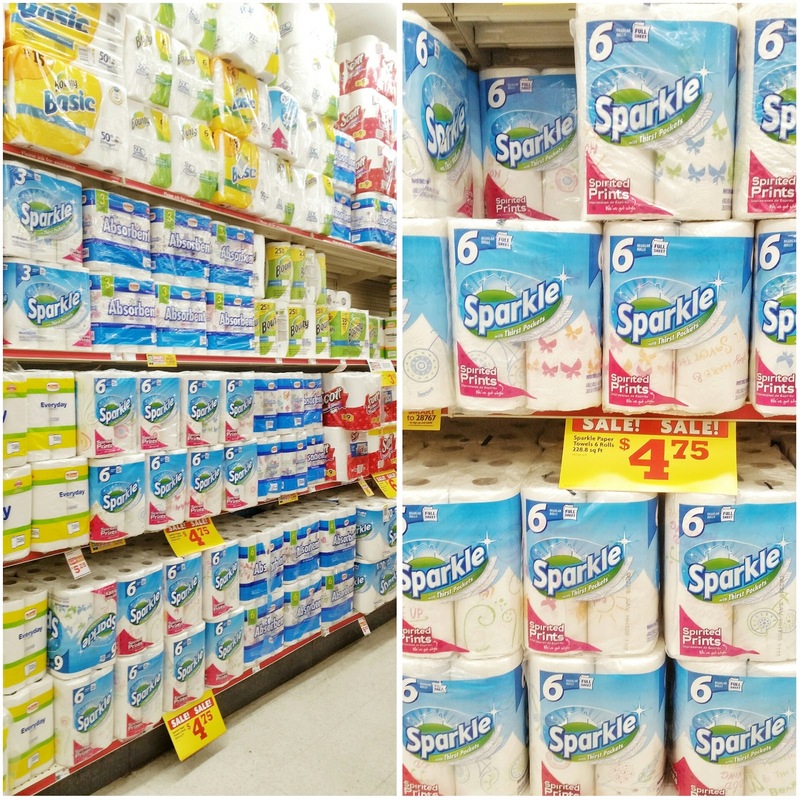 On my most recent trip to Family Dollar, I signed up for Smart Coupons right from my phone and I was able to save 50¢ on BOTH Angel Soft® bath tissue and Sparkle® paper towels for a total of $1 off in savings, and guess what? you can too! 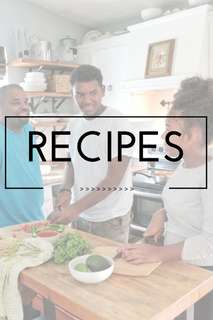 The coupon is available between now and 12/27/16, check out the video below to learn more about Smart Coupons at Family Dollar. 1.) First and foremost, you should give your bathroom a GOOD cleaning and organizing. 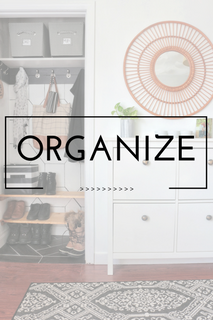 Then take a look at your space from your guests perspective: are your personal items put away? 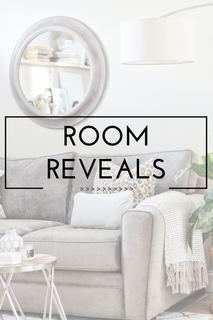 Be sure to clean the tub, scrub and disinfect the toilet, shine that faucet and sink and spot clean your shower curtain or run it through the wash (did you know that you can even throw the liner in the wash if it's of good quality?). Clean/sweep/dust behind doors and be sure to clean up all the dust bunnies. About a year ago, I incorporated this media tower into our main bathroom to add additional storage. 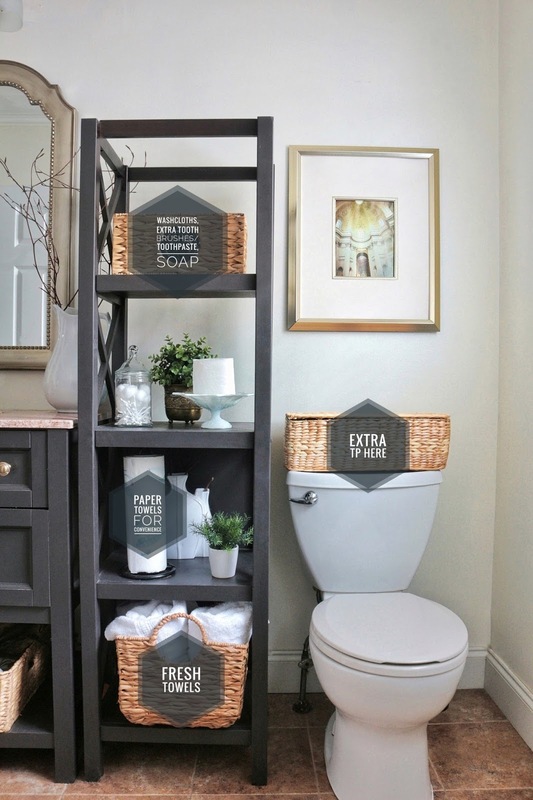 Paired with decorative baskets, it has worked wonders to hold bathroom necessities. Let's take a closer look shall we? 2.) 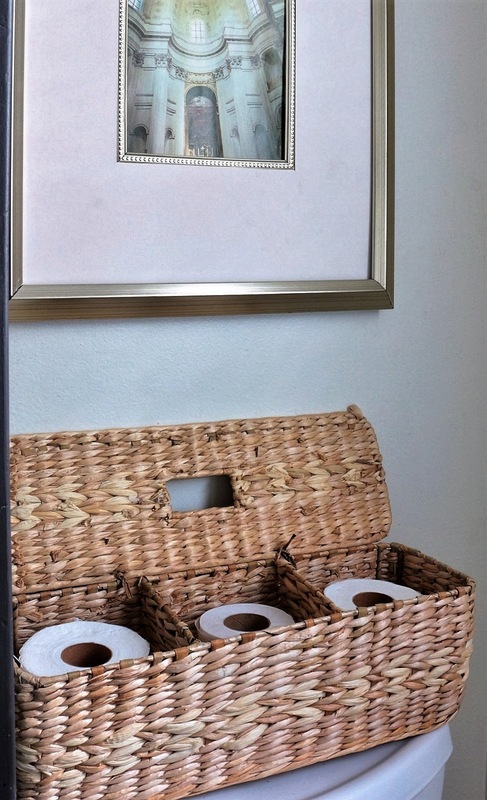 Storing extra toilet paper: In general I like to store everything in these hyacinth baskets. In this little bathroom alone, I have 4 --- to maximize storage space. I recently purchased this cute little "tank-topper" basket which works perfectly to corral extra rolls of toilet paper. It has a slotted top which is perfect for when cold and flu season starts, to hold a tissue box. 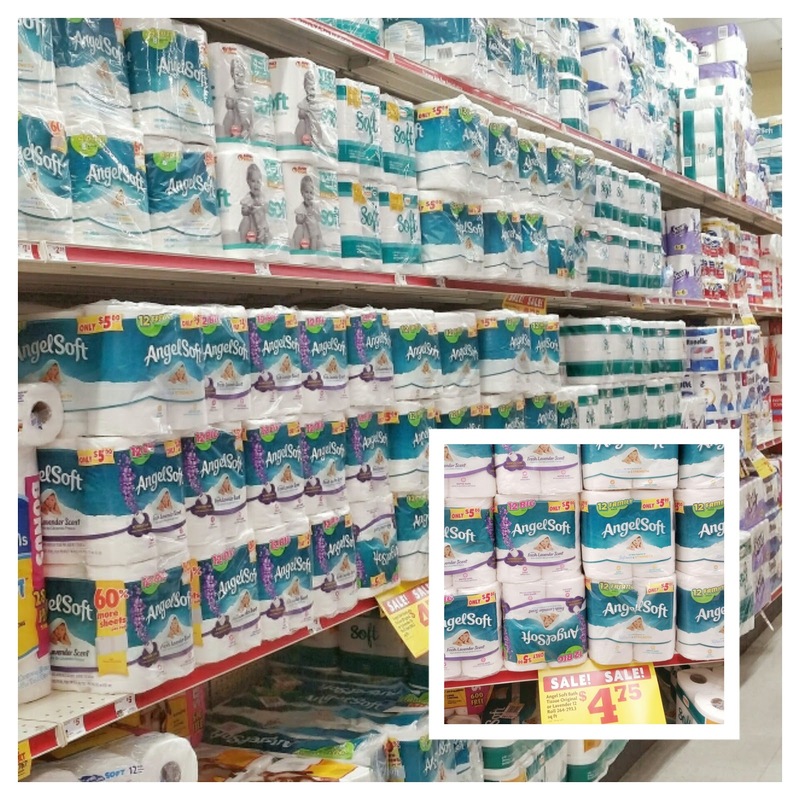 I like it because it's in a practical location, so when your guest asks for that extra roll, all you have to do is yell! 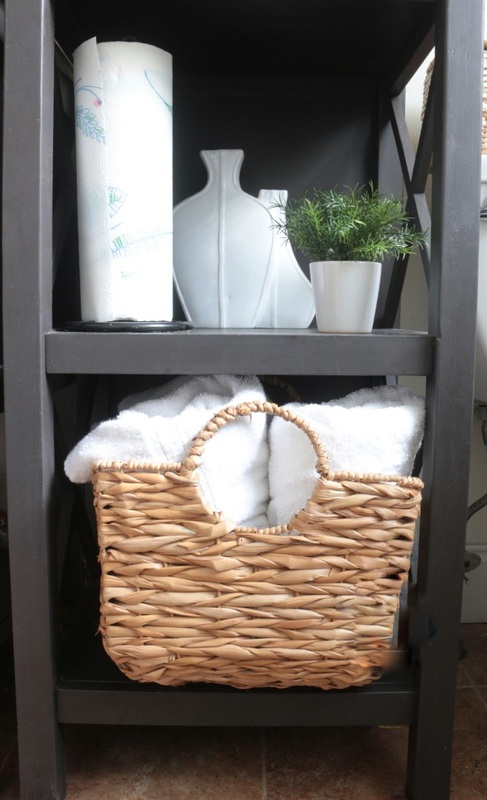 If you're unable to find something similar, any flat basket will do to keep that TP within arms reach! 3.) 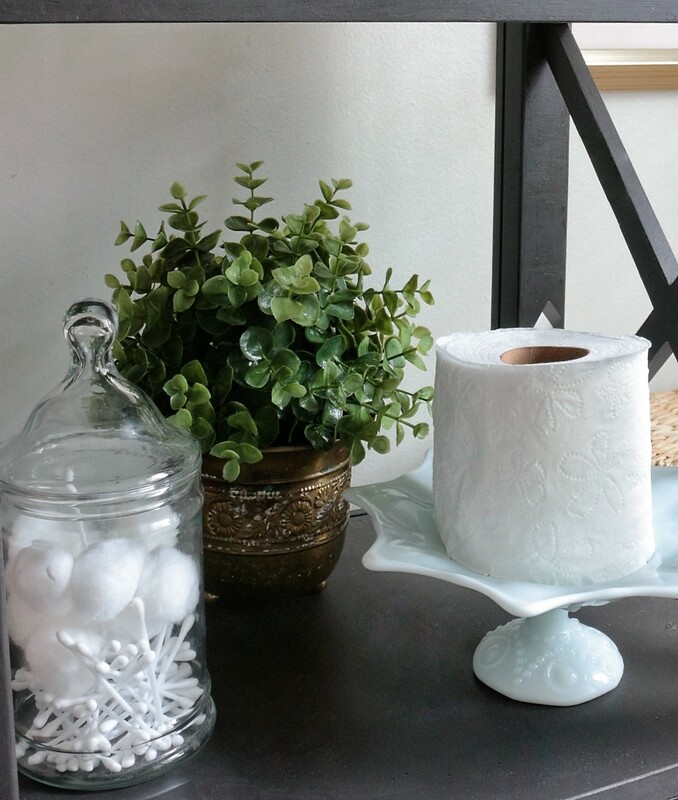 Having cotton balls and ear swabs available in a pretty glass jar is always nice, and keeping an extra roll of toilet tissue on a pretty pedestal is also convenient. The fresh lavender scent Angel Soft® offers such a pleasant surprise as it smells divine--I figured why not leave some out to help deodorize the space! 4.) Washcloths, towels and toiletries: I like to have fresh white washcloths and towels available for guests, which helps to give the feeling of staying at a hotel. It's also nice just to have a separate set of these exclusively for guests, that way they can be easily replenished. 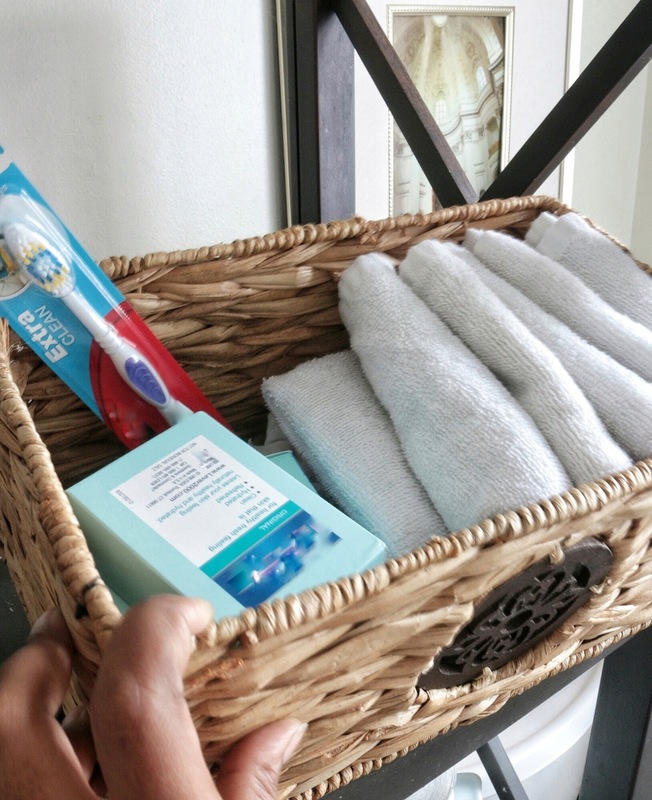 I also like to keep extra toothbrushes, toothpaste, floss and some bars of soap in this basket, which is easily accessible for guests, and it's hiding in plain sight! An inexpensive way to create a stockpile of toiletries, is to grab up the unused shampoos, mouthwashes and lotions from hotels, since we rarely use them, they are great to take and offer to guests. 5.) 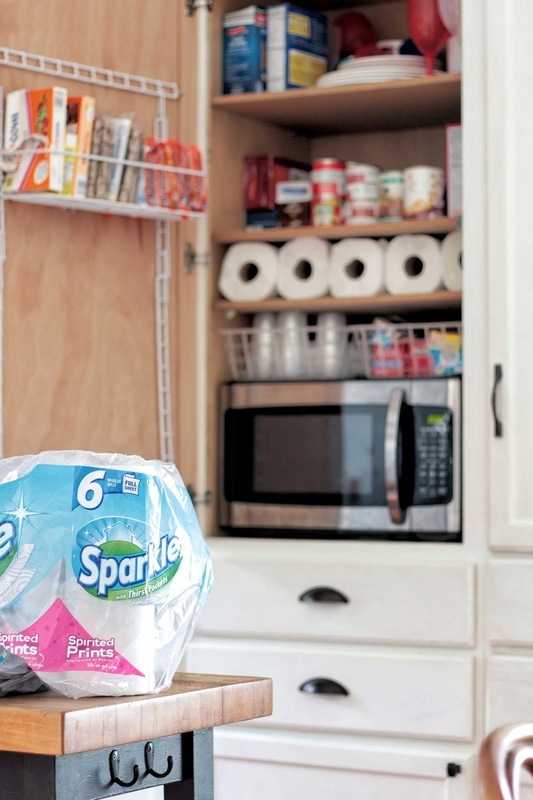 Paper towels: I like keeping a roll of Sparkle® in the bathroom and think it's a nice touch. It also helps to keep things more sanitary and keeps your decorative bathroom towels from getting all germy! 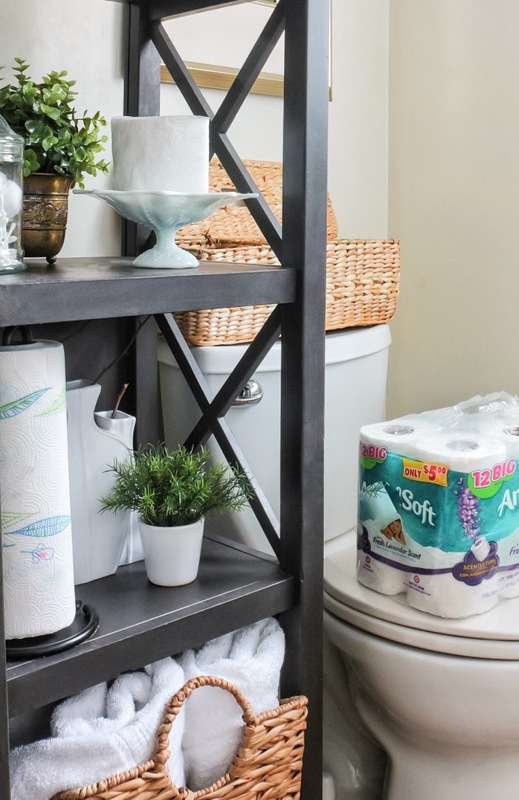 Although not related to the bathroom, I created a separate space on my "left pantry" by using shelf brackets to store my extra Sparkle® paper towels. Also in close proximity are other paper goods such as napkins, plastic cups, paper plates and the like, so guests can easily find them. If you'd like to stock-up on Angel Soft® and Sparkle® during the holidays, take advantage of the awesome savings and Smart Coupons at Family Dollar! 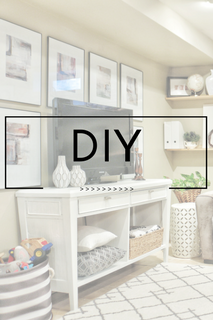 By utilizing pretty storage baskets, (even if you tend to go overboard with them, like me) you can keep these items separate from your own personal items. 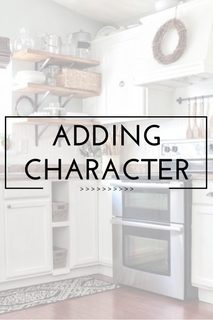 It also helps to to make your guests feel comfortable and welcomed as you've created a space just for them! 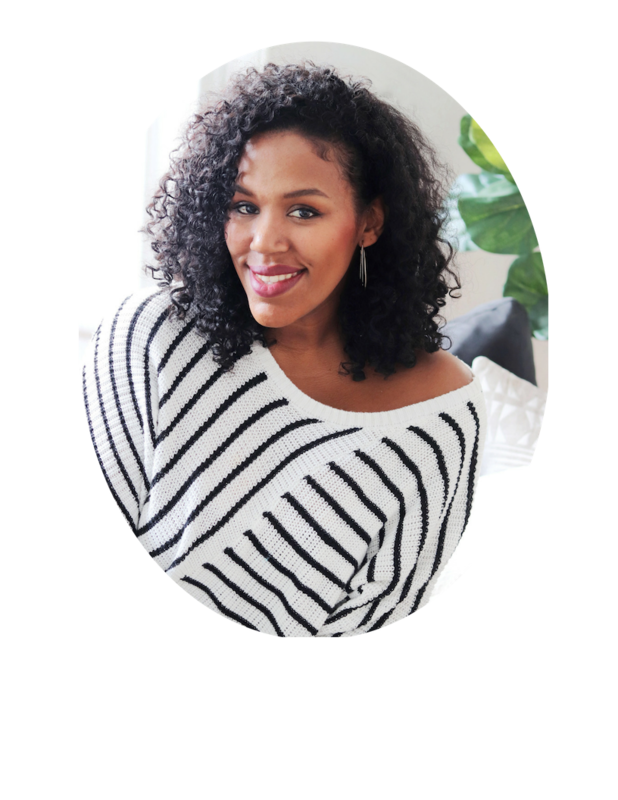 No one wants to feel as though they are invading your privacy if they have to go into linen closets or in bathroom cabinets and drawers. 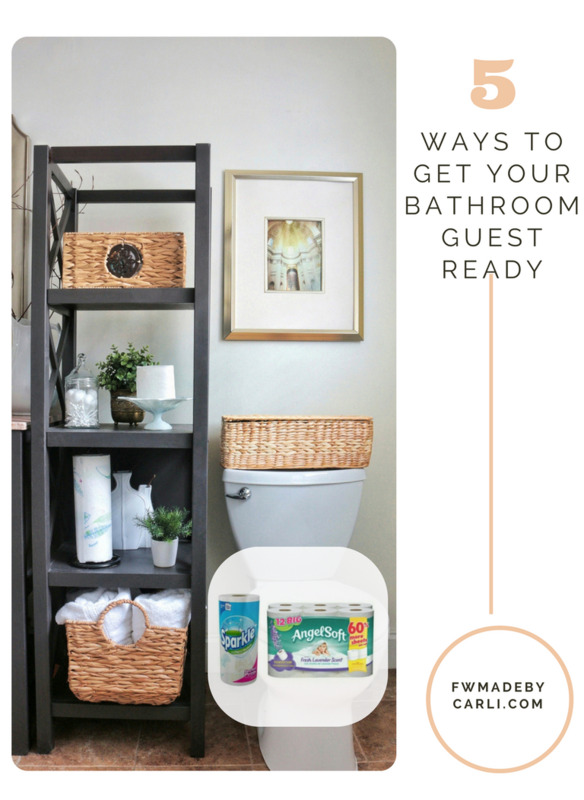 How do you get your guest bathroom ready for the holidays? Great tips Carli! 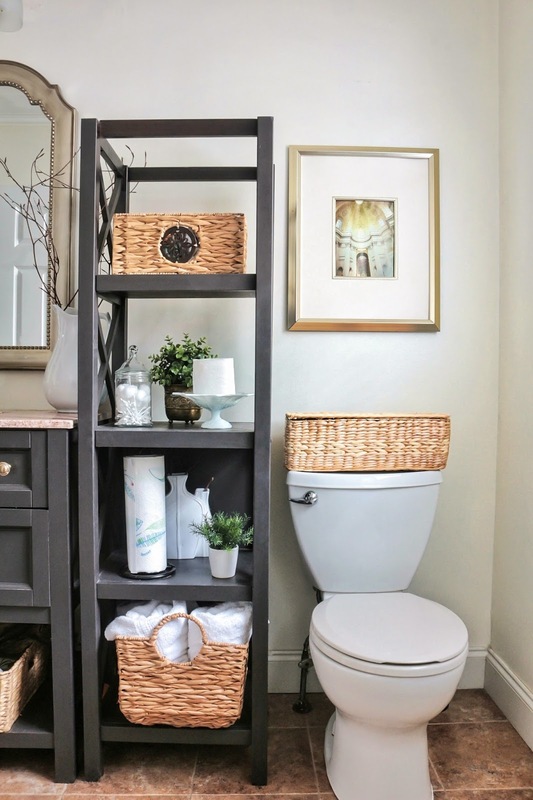 I love the basket for extra TP storage! These are good tips, that feeling when you've run out of tp and your guest says do you have any more tp is the worst. LOL! but it happens. 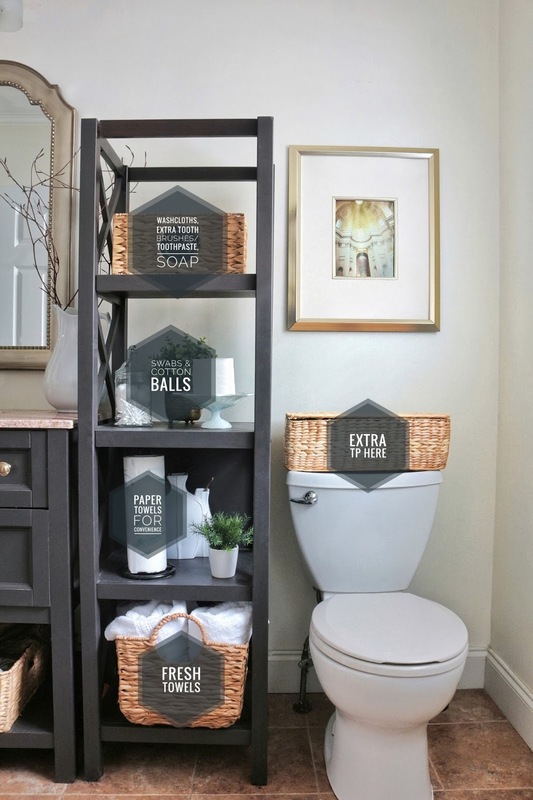 I love how you used the media shelf to corral all the baskets filled with items needed for guests.